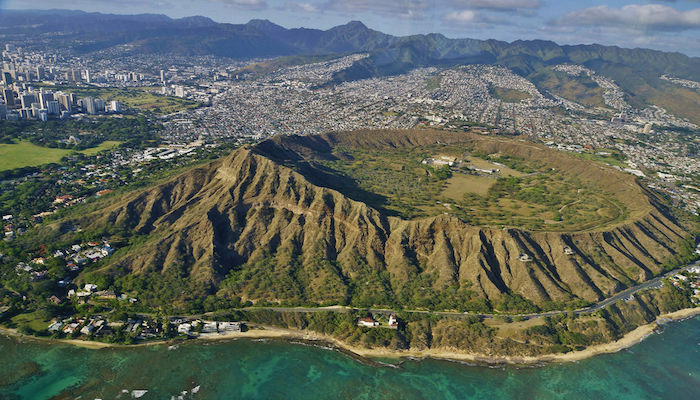 An easy, flat course through the upscale neighborhood of Kailua takes you along beach access roads to enjoy beautiful views in a quite part of town. Park at the nearby Kailua Beach Park and run south pass the Lanikai Monument. After the monument, bear right onto Aalapapa Dr. follow this road to the end where it loops left onto Mokulua Dr. This loop has only a few short hills and light traffic. Along the route you will be running on a well established bike path, where cyclists and runners share the road. After your run, head down any of the beach access roads on Mokulua Drive to relax on the picturesque sandy shore. The beaches in this area are not to be missed! 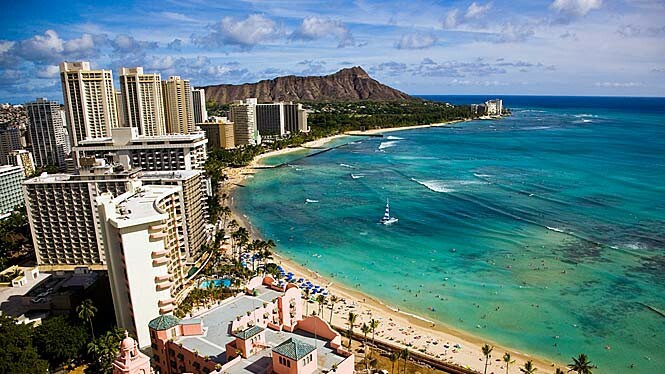 Kailau is about a 35 minute drive from Waikiki. Free parking is available at Kailau Beach Park. To access this route by public transit, take the bus Route 57A Kailua — Keolu Drive from the intersection of Mahukona St and Atkinson Dr in Waikiki, until the Kailua Rd and Hahani St stop.